After struggling with infertility for a few years, Anaheim residents Michelle and Eric Marshall decided to try fertility treatments. The couple was delighted when they found out they were expecting triplets, but they knew it would be a long road ahead. 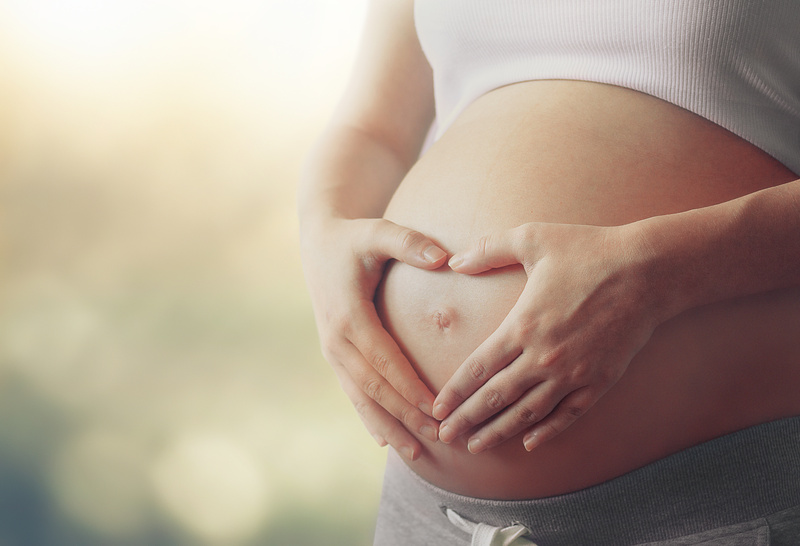 When a woman is pregnant with multiples, her pregnancy is at a higher risk for complications. A high-risk pregnancy didn’t guarantee Michelle would encounter problems during pregnancy or birth. However, a high-risk pregnancy entails closer monitoring. Michelle and Eric started asking family and friends for recommendations on where to deliver, knowing most likely that their babies would need to be admitted to a neonatal intensive care unit (NICU). Michelle’s water broke at 25 weeks – just over half way through her pregnancy. She was admitted to the Cherese Mari Laulhere BirthCare Center at Miller Children’s & Women’s in its Perinatal Special Care Unit (PSCU). The PSCU offers advanced and continual fetal heart tracing through a state-of-the-art central monitoring system. The goal of the Perinatal Special Care Unit is to help baby’s continue to grow in the comfort of the womb for as long as possible. The PSCU experts were able to hold off delivery for 10 days. Ellavee, Bryce and Emersyn Marshall were born weighing less than 5 lbs. combined. They were immediately taken to the NICU – just down the hall from Michelle’s delivery room. Since the triplets were so small, they were cared for in the Small Baby Program. The Small Baby Program is a designated area within the NICU, which is committed to maintaining a very controlled neuro-sensitive setting that allows the babies to follow a natural course of development. The Small Baby Program’s distinct approach uses gestational age to provide evidence-based medical and developmental care in a nurturing and supportive way to maximize a baby’s potential and minimize their risk for complications. This environment allows for developmental well-being and strengthens the bonds and understanding of the family unit. When not in the nurturing arms of their parents, premature infants are in an environment that matches their neurosensory and developmental needs. The Marshall triplets spent more than 100 days in the NICU. Even though they were born prematurely, the triplets did not experience extreme birth defects. Their time in the NICU was spent growing and getting stronger. Michelle stayed at the Long Beach Ronald McDonald House, just across the street from Miller Children’s & Women’s, while the triplets were in the NICU. Today, Ellavee, Bryce and Emersyn are happy, healthy 1-year-olds. They still go to rehabilitation therapies a few times each month, but they are playing just like any other kids their age.